Not all of Union Pacific was heavy duty double and triple track mainlines. 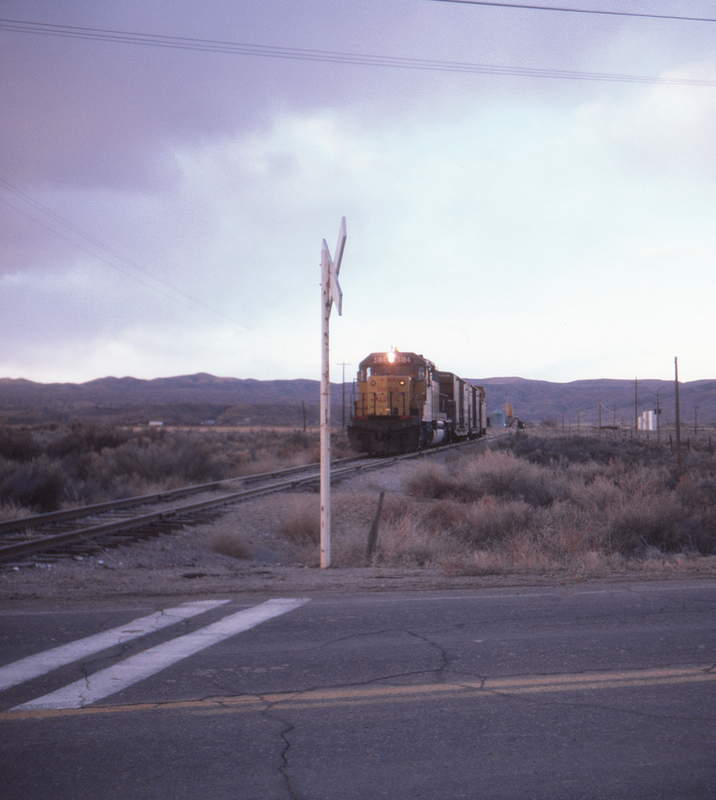 The UP's Pioche Branch, which took off from UP's Los Angeles & Salt Lake line at Caliente, Nevada, once led to a busy mining district. By this time the branch, seen here at Panaca crossing Nevada State Route 319, was more likely carrying supplies for some of the many ranches active in the area.